Save 10% off this price... Hurry, offer ends this weekend! This 1200mm Highline Corner Base 2 Door 400mm RH Blank is part of the Corner Base Unit Category. All of our Corner Highline Base Unit's are high quality, made to order and available in bespoke sizes. 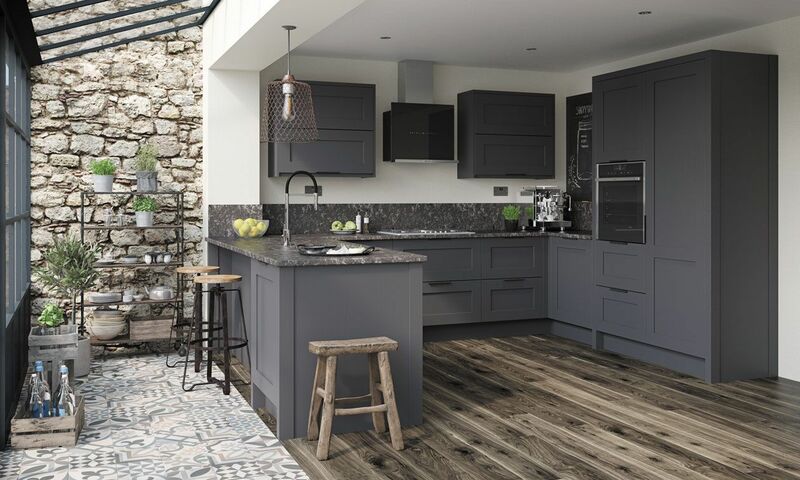 Our Premium Trade Kitchen Units are available for everyone to buy online, not just the trade! If you need this item to be made to measure or bespoke then please tell us using the notes boxes provided. Attention: No doors are included with this product! For complete kitchen units visit our Kitchens category. Our base units come with 150mm adjustable legs as standard, you will need to add the 150mm to the items height i.e. 720mm + 150mm = 870mm. Our kitchen units are delivered rigid built and are priced with soft close hinges and soft close drawers included as standard (where applicable). Don't forget we can modify any kitchen unit for you! If you need and extra shelf, a different depth or you need to change the recess/void just let us know! Our kitchen units and kitchen unit finish panels are usually delivered within 2 to 4 weeks from order. If you have selected a paint to order kitchen / kitchen door then please allow 4 to 6 weeks. All our kitchen units and kitchen unit finish panels are normally delivered by our own transport, pallet delivery options are available for small orders, but limitations do apply. All our kitchen units and kitchen unit finish panels are made to order specifically for you. Due to this we do have a minimum order value of £350.00 excluding VAT and delivery on these made to order products. The minimum order value does not effect other items like kitchen doors, kitchen door accessories and panels or all other accessories.